This app is ideal for children who are under the age of five. Elmo Loves 123s will teach children how to count from one to 20. It will also teach them how to do simple subtraction and addition. Abby Cadabby and Elmo will guide children through learning math. Additionally, this app features videos from Sesame Street. If you are looking for another app that will help teach your children math, then you should consider giving Play 123 a try. In 2013, this app won the Editor's Choice Award from Children's Technology Review. A voice will guide children through games about shapes, numbers and colors. Your little one will be a math whiz before you know it if you use this app. Cookie Monster Challenge is great for preparing kids for school. It will teach them focus and self-control. It will also teach them how to follow directions. The Cookie Monster Challenge has nine different levels of mini games. Your child will earn more pieces of the cookie making machine as the game progresses. If your child likes for you to read to him or her before bedtime, then you may want to consider giving Disney Story Central a try. This is an app that has a big collection of stories that are starting Disney characters. It features stories with Doc Mcstuffins, the princesses and Mickey Mouse. The Disney Story Central has a read-along narration. Additionally, as your reader progresses, he or she will earn awards and trophies. Your little one will have a lot of fun learning how to spell words with the Endless Alphabet app. It has activities that not only teach children new words, but it also teaches them how to spell the words. Endless Alphabet does not keep score or have any time limits, so this helps take the stress out of learning new things. Keep in mind that some of the words may be too advanced for preschool-aged children. Children are more eager to learn if they can have fun while doing so. Endless Alphabet, Play 123, Disney Story Central, Cookie Monster Challenge and Elmo Loves 123s are some of the apps you may want to consider downloading for your youngster. These apps will not only help your child learn, but they will also help entertain him or her. This contributed post comes from MightySkins.com. They make custom vinyl decals for various kinds of devices. Popular items include skins for tablets, Otterbox case skins, and vapor wraps. These all sound like really good apps for kids to play with. I love that they have an educational aspect to them. I need some new apps for my boys. Thanks for sharing these, I will be checking them out for sure. My kids love apps and I am always looking for new ones to get for them. Thanks for sharing. My nieces would love these apps. it's great that they are educational and fun. I always say that's the key to learning. 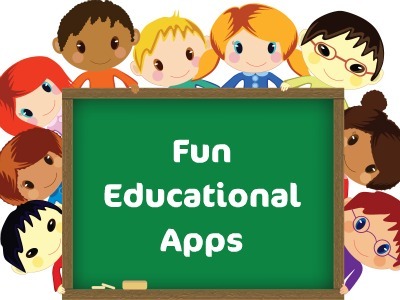 I am always looking for fun apps for my kids that also teach them. This list is a great place for me to start, thank you! I'm always on the look out for new educational apps for my grand kids. I will check on these. Thanks for the suggestions. Those are really great educational app, my kids loves disney story central. Im look into other educational app like elmo thanks. These sound great I am always looking for new apps for my kids! Elmo is one of my youngest's favorites! I've downloaded the apps. I'm not finding Disney Central on my phone, is it an Android app too? these sound awesome! I need to try the Elmo app- my toddler loves him! Thanks for these! I'm working with my daughter on her numbers now. I'm going to check out a few of these. Especially Elmo's! These are very useful apps, toddlers would love these, my kids aren't this apps anymore but they loves it before. These all sound like great apps! I will be trying these all out with my daughter this summer!